(HILTON HEAD ISLAND, S.C.) The American Heart Association–Southern Coast has raised $260,000 to benefit the organization’s mission to fight and prevent heart disease and stroke in the Savannah and Hilton Head Island areas. The funds were raised at the organization’s 21st Annual Heart Ball of the Southern Coast attended by more than 500 people on Feb. 3 at the Westin Hilton Head Island Resort and Spa. Peacock’s Audi Hilton Head dealership was the legacy sponsor for this year’s gala, as it has been for several of the Southern Coast Heart Ball events. 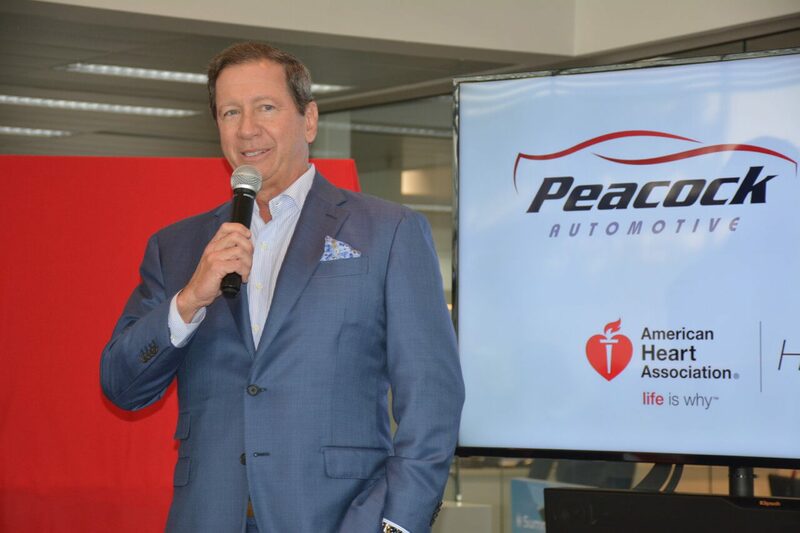 The dealership is located at the Peacock Auto Mall on U.S. 278 in Jasper County, S.C.
Landon Peacock also served as the 2018 Open Your Heart chair to bring community and philanthropic leaders together to celebrate the mission of the local group. The evening of dining, dancing, live entertainment and fundraising auctions was supported by Hilton Head Regional Healthcare and was emceed by Dr. Terri Hubbard and Dr. Atul Gupta. The event also recognized Maggie Maine, the 2018 Open Your Heart Honoree who was born with a congenital heart defect. A number of luxury items were donated for the event’s auction, including cultural trips to Spain, a Bahamas vacation and the chance to be named in a Mary Kay Andrews novel. Proceeds will be used to further cardiovascular disease research, to improve the lives of local residents and to provide community education about the risks of cardiovascular disease and strokes. Cardiovascular disease is the leading cause of death for both men and women in the United States while stroke is the fifth leading cause of death and the leading cause of serious, long-term disability. Nearly 2,200 Americans die of heart disease each day.